The striking decor of the Orlando Marriott Lake Mary has a distinctive flair, featuring Marriott's Great Room Lobby, including the Espresso Lounge, Proudly Serving Starbucks coffee. 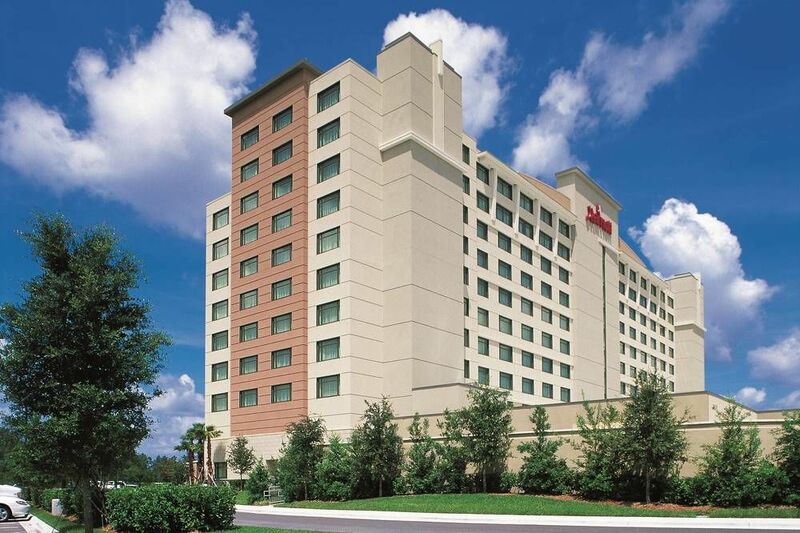 Situated in Orlando, this hotel is within 3 mi (5 km) of Timacuan Golf Club, Seminole Towne Center, and Mayfair Country Club. The Legacy at Alaqua Lakes is 3 mi (4.9 km) away. This smoke-free hotel features 3 restaurants, an outdoor pool, and a fitness center. Free WiFi in public areas, free self parking, and a free airport shuttle are also provided. Other amenities include a bar/lounge, a spa tub, and coffee/tea in a common area. All 304 rooms provide free WiFi and free wired Internet, Smart TVs with satellite channels, and conveniences like microwaves and coffee makers. Netflix, room service, and free bottled water are among the other amenities available to guests.